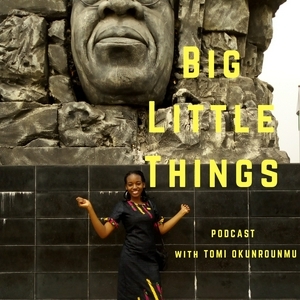 Big Little Things Podcast is targeted at helping you live intentionally. We share amazing tips and talks that make living worth it! Your host is Tomi Okunrounmu. Truth be told, you may have faced a hard circumstance and perhaps allowed it to hold you down from achieving your goals, it is time to quit the blame game and move on. EP 10: You Only Get To Live Once, is fear of the unknown holding you back? More than a million people have been crippled at the point of action by Fear of the Unknown. They live empty lives and never achieve their dreams. Could fear be holding you back? Procrastination is said to be the thief of time, if it your steals time, it is because you allowed it. In this Episode of Big Little Things, we begin a series on Overcoming Inertia and the first thing to tackle is Procrastination! Listen, bust don't just listen... Take action now! EP 8: Help! I am at a crossroad. How do I make the right decision? Adamawa's temperature gets to 42°C most afternoons, so it is hoooooooot! But this time i use HOT as an acronym to share three important elements of out lives... H is History, find out more as you listen. Life is in phases, you donot always have to be in a rush... Enjoy your process so that you can value your destination. We all get stressed at some point while working or in our personal lives. 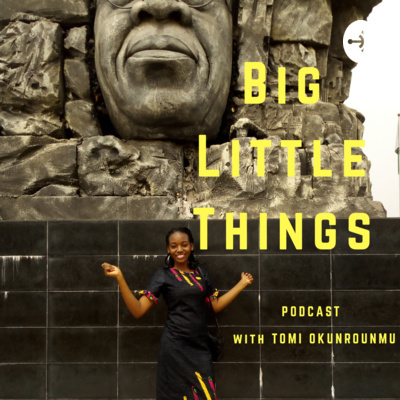 In this podcast, Tomi shares quick tips to help you manage stress and live effectively. Have ever been wronged? You said you'd never forget the erring party? Did you feel appeased? Listen to why you need to let go of bitterness today. Tomi dishes out a dose of Valentine wisdom. Asking all listeners to take necessary action and stop overthinking. Hurray, the Big Little Things podcast comes to life. In the pilot episode, Tomi shares why the show exists and what listeners stand to gain by listening to the podcast. Hi all, it's my 5th year as a blogger. This is a slice of gratitude.